ANAFI is a feature-packed drone from Parrot, able to capture video and photo from incredible vantage points thanks to a 180° tilt gimbal and 2.8-times lossless zoom. The 3-axis image stabilization system creates super-stable content, even when the drone is moving at full speed. Extremely quiet and resistant to extreme weather conditions thanks to a new transmission system, ANAFI has a 25-minute flight time even when resisting winds of up to 31mph or reaching speeds of up to 33mph in Sport mode. 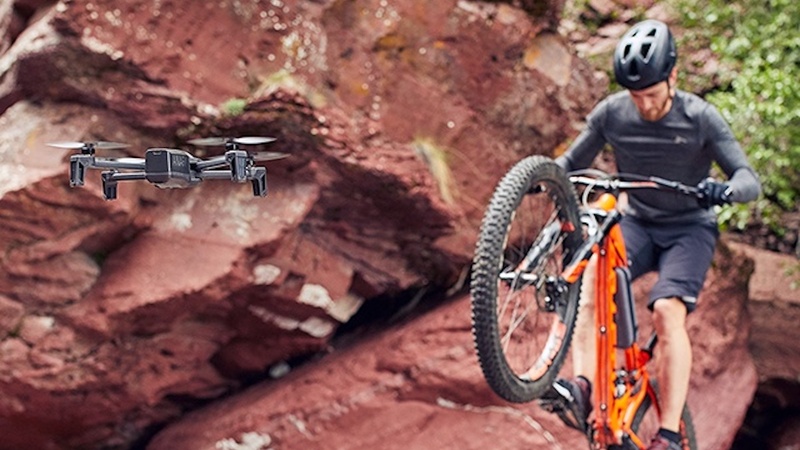 In Cameraman mode, the camera automatically frames and tracks a subject in aerial videos – the pilot only needs to control the ANAFI drone movement and the subject is automatically framed. Follow Me (an extra feature that requires an in-app purchase) enables you to stay in the heart of the action at all times; the ANAFI follows the user autonomously, both horizontally and vertically, without anyone piloting the drone directly. Aerial selfies are simple with the SmartDronies feature… creating the shot that was always imagined but never possible with a selfie-stick. Cineshots let you take automatic cinema style videos with camera tricks including Reveal, Epic, Rise and 360°. Additional software features include geofencing to define a custom virtual perimeter that stops ANAFI from flying out of a designated area. 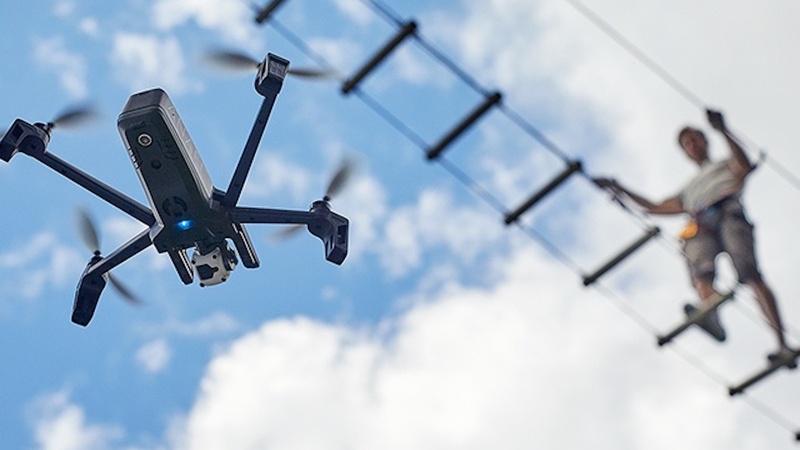 The Smart RTH (Return to Home) system ensures that if the drone ever loses connection or if the battery life is low, it will automatically come back to its starting point. Parrot’s new ANAFI drone features a 4K camera with a 180° tilt gimbal. The compact size and insectoid design allows ANAFI to unfold in seconds while maintaining superior stability and aerodynamics. Weighing in at only 320g, the ANAFI drone is designed with a carbon fiber structure with empty glass microbeads that are filled with air to resist bumps and knocks. Also designed into the frame are separate dual-band antennas (2.4GHz & 5GHz) in each leg, improving HD video streaming and the piloting experience up to 2.5mi away. ANAFI comes complete with a carrying case and the amazing Parrot Skycontroller 3 that pairs with the upgraded FreeFlight 6 software to provide all those wonderful flight modes and increased range. The ANAFI drone is available $699.99 and is currently running a special offer to include a second swappable battery. Parrot provided a review unit of the ANAFI drone; all opinions are, of course, our own.